New Helsinki - Sapporo (New Chitose) route starting December 15, 2019! From December 15, 2019 to March 27, 2020, Finnair will add to its existing Tokyo (Narita), Osaka (Kansai), Nagoya, and Fukuoka routes with new twice-weekly service between Helsinki and Sapporo (New Chitose). With a flight time of about 8 hours, Sapporo (New Chitose) will be the closest to Europe of Finnair's 5 Japanese destinations. The new route will become very popular among ski lovers across Europe, thanks to its direct access to ski resorts in Hokkaido. Bringing Europe and Osaka(Kansai) closer together! 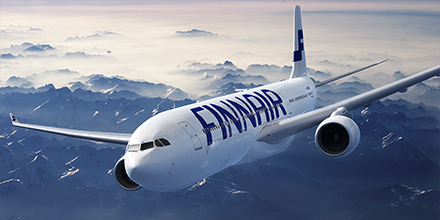 For its summer 2019 schedule (March 31 - October 26), Finnair is expanding service on its Helsinki - Osaka(Kansai) route from 7 to 10 flights per week. Finnair will add 3 new late-night departures to its existing evening departures from Helsinki, making service more convenient for travelers with diverse needs. London– Osaka (Kansai) flights from March 31, 2019. British Airways customers are set to soak up Osaka next summer as the airline is launching direct flights to Japan’s second largest city. The four-per-week service takes off from March 31, 2019 with flights departing from Heathrow Terminal 5 and landing into Osaka’s Kansai International Airport. 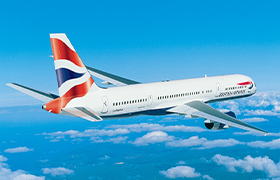 The route will be operated by one of British Airways’ newest aircraft, the Boeing 787-8 Dreamliner. Flights between Helsinki and Osaka (Kansai) available every day ! Finnair has announced that it will be adding two flights a week to its Osaka (Kansai) and Helsinki route. In winter 2017, flights were scheduled five times a week (Monday, Tuesday, Thursday, Saturday, Sunday) for this route. Starting winter 2018 (October 28, 2018 to March 30, 2019) the flights will be available every day. With the increasing demand for the Kansai and Helsinki route expected, Finnair will improve convenience in access for customers with this new daily schedule. Two flights a day between London and Tokyo (Haneda)! With codeshare flights operated by British Airways, this makes it a total of four flights a day. In addition to the current Tokyo - London flight that leaves Haneda in the morning, we are adding a latenight codeshare flight with joint venture partner British Airways to reinforce our network not only to the UK but throughout the European region. 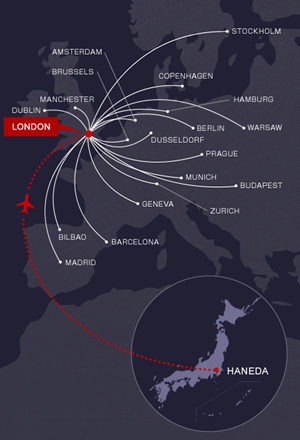 The flight leaves Haneda late at night and arrives in London early in the morning (6:25), allowing passengers to enjoy a full day - both before leaving Tokyo, and upon arriving at their destination. The flight is also convenient for passengers with connecting flights beyond London. Five flights a week between Madrid and Tokyo (Narita) available from October 2018! 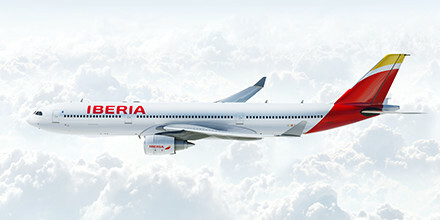 Iberia has decided to add two flights a week to its Madrid and Tokyo (Narita) route. This broadens access not only between Japan and Spain, but also destinations connecting beyond Spain such as other parts of Europe, South America, and Africa. We will continue to work closely with our joint venture partners to expand our network of routes, and improve the quality of services such as our inflight service products, in order to offer customers more choices and a greater level of satisfaction with our services. Fully-flat seats for all Business Class passengers flying European routes! 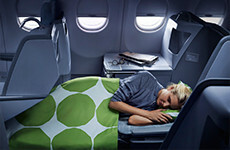 All flights serviced by British Airways, Finnair, Iberia, and JAL feature aircraft with fully-flat seats in Business Class. 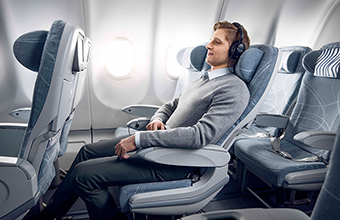 Enjoy a relaxing journey through the sky in spacious Business Class seating. Fligts between JAPAN and EUROPE,Econmy class customers may check in two pieces.For details,visit website. 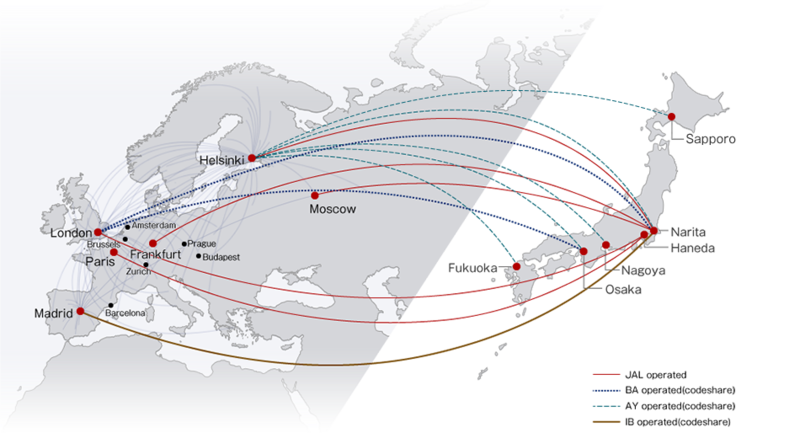 Finnair's hub in Helsinki and Iberia's hub in Madrid as their gateways to Japan. Japan is now even more accessible and convenient to reach. 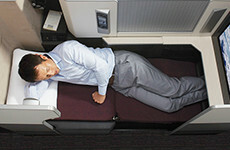 It is possible to combine a JAL flight with a British Airways or Finnair codeshare flight. You can fly British Airways for the way over and JAL for the way back, or JAL for the way over and Finnair for the way back. *These flights will be listed with JAL flight numbers (as codeshare flights) on the JAL homepage and Booking Center . 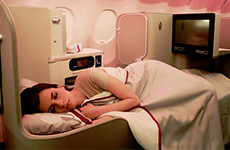 You can also accrue JAL miles for taking British Airways and Finnair flights. 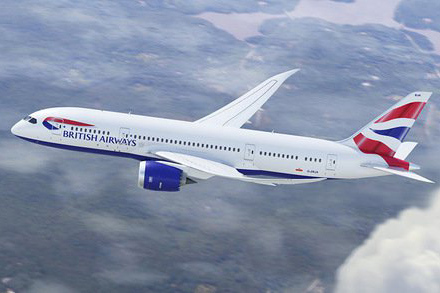 Additionally, when taking British Airways flights, JMB Diamond members, JGC Premium members, and other frequent-flying customers with oneworld elite membership status will—in addition to standard mile accrual—receive bonus miles based on their service status. 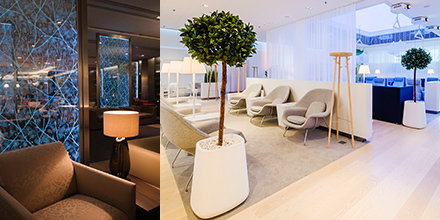 JMB Diamond, JGC Premier, JMB Sapphire, and JAL Global Club members have access to the British Airways Gallery First Lounge *1and Galleries Club Lounge at London Heathrow Airport as well as the Finnair Premium Lounge and Finnair Lounge at Helsinki Vantaa Airport. Please note that accessible lounges and the requirements for accessing them differ with membership status. *1 Available only to JMB Diamond and JGC Premier members. 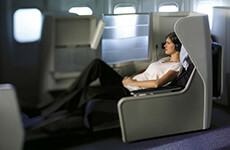 Economy Comfort seats are available free of charge*1 on Finnair flights for JMB Diamond, JGC Premier members. Located at the front of the Economy Class section, Economy Comfort seats are a step up in comfort, providing between 8 and 13 cm*2 of additional legroom over standard Economy Class. On this website, bookings cannot be made online Contact us to make your reservation. For further details, please contact Finnair.